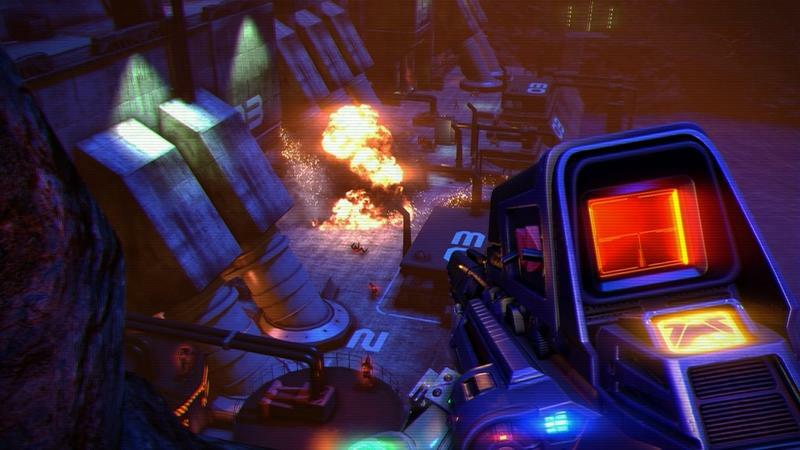 With only a week under its belt since release, Far Cry 3 Blood Dragon is generating the same sorts of hype and rumor building that one would expect out of a top-tier shooter or a next-gen console. Right now, the money's on Ubisoft taking Blood Dragon into sequel territory. During the May 3rd, 2013 episode of Major Nelson's podcast, Michael Biehn, the voice of Far Cry 3 Blood Dragon protagonist Rex Power Colt, shared some tidbits that he likely wasn't supposed to share. According to Biehn, Dean Evans, Creative Director on Blood Dragon, was in talks with Ubisoft's higher-ups regarding turning this one-off game into a full franchise. "Dean was with me on the phone last night. He was pretty jacked up. He was going into a meeting today, to you know.. I think he wants to turn it into some sort of franchise. He's got a sequel in mind." Of course, talking about a project and actually having said project greenlit are two massively different things. We assume the potential for Far Cry 3 Blood Dragon to become a franchise rests solely on how well this offbeat game sells. Lap it up if you want companies to do more things like it, gamers. Your money speaks the loudest.